The Moon touching the mountains - as seen from Lake Brienz, Interlaken,Switzerland. Thank you, it was a beautiful day. 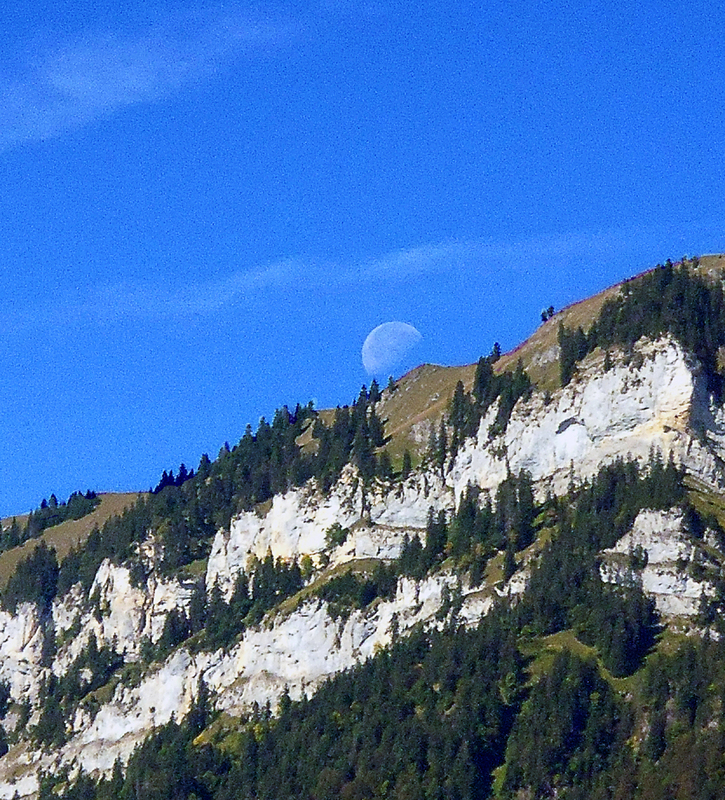 We were riding on a ferry boat at Interlaken in Switzerland and I noticed the Moon bobbing along the cliff tops. The photograph was taken with a handheld compact Lumix camera. A versatile camera that slips in your pocket and costs less than £80.